It is indeed difficult for women to balance motherhood and career especially if one decided to get pregnant and breastfeed afterwards. 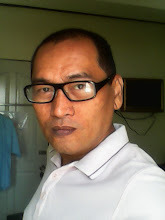 Fortunately, it is not as difficult as it was due to some politically correct changes in the working environment and of course technology and internet where sharing of ideas are the in thing today in various social media network. Thus, many moms today are having easier time dealing with breastfeeding and career at the same time. Just the same, it is still important for some women and even men on important breastfeeding tips for working moms. Not only that the issue of returning and adjusting to work is a big headache for new mothers, there are other issues involved also when it comes to breastfeeding. Here are some challenges that moms are facing when it comes to it. Familiarizing with the ins and outs of breastfeeding and of course pumping. Breastfeeding is not only all about having ample supply of milk and determining intuitively when the next session is; there are other concerns too. Thus, many women find it advantageous to educate the ABC’s of pumping and breastfeeding. The issue of returning and adjusting to work. There is no mother in the world who does not worry about her child left behind at home. 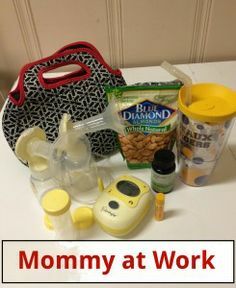 This takes a toll when she returns to work; she has to plan ahead to accommodate issues of easy access clothes, pumping at home, and work and motherhood transition. Why Breastfeed and Work At The Same Time? Breastfeeding is still healthier for babies. Continue the bond between mother and the baby even if they are momentarily apart during working hours. Helps mothers avoid for babies health and medical complications commonly associated with commercial infant formula such as risk of autoimmune diseases and allergies. Breastfeeding and working may go together depending on the nature of the job. For example, if you own the business you can bring along your infant child to work and create a separate space to serve as a nursery for your child. In some cases, there are also working women who bring their infants to work even though they are working in shops and offices. This is of course if she has negotiated with her employer this kind arrangement. If and when bringing the baby to workplace is not possible, why not try to bring the work at home. This is already a common situation in some companies where home working is encouraged. Maybe, you can request or find a baby day care center near your working place; negotiate is the operative word and do not assume that your employer is so inhuman that this option might not be possible. Or if working place is just a walking distance, you can use break time for breastfeeding activity. It can be extremely an uncomfortable situation especially if the working place is predominantly male thus, you have to plan in advance if you plan to pump up while working. Here are common suggestions collated from different sources. Prepare the night before so that mornings will always be easy on you. The baby is already an addition to your work routine so set the alarm at an earlier period so you can prepare yourself for work before the baby wakes up. Get ready the night before and ensure that breastfeeding pumps are clean, bottles of breast milk are prepared in the refrigerator, and among others. When freezing milk, put it in small amounts so it will thaw very quickly. Buy easy access dress so that it will be easy and comfortable on your part when you want to pump milk in the workplace. In addition, buy loose and heavily printed dresses or blouses in order to hide leaks and two piece work clothes are better than one piece clothing. Buy an electric breast pump so you can pump out breast milk the soonest time possible. Do not forget to familiarize yourself with the breast pump so you can figure it out how to maneuver it successfully without the mess. Don’t hide from your colleagues but be discreet with pumping. Discuss with them why you need to pump and encourage other mothers to do same when their time comes. And once you get off from breastfeeding, do not forget to thank your co-workers for bearing with you and supporting breastfeeding and working at the same time. Motherhood is a joyful experience and is not a hindrance to professional career. It can serve as an inspiration to work smartly and achieve further for the benefit of the children. Women can indeed both be a mother and a working mom at the same time even if they are breastfeeding their babies.